Help us set up our school and prepare scholars in Memphis to excel in high school, thrive in college, and lead lives full of opportunity! For a school to be successful, it must both support and be supported by the community. Believe Memphis Academy will be holding Build Believe Day on June 8th, 2018 with this in mind. Our school will be partnering with Teach for America (TFA) and Klondike-Smokey City community organizations to engage families, prepare purposeful learning environments in classrooms, hallways, and common areas, and assess scholars to find their reading levels. 72 New TFA corp members will be trained how to administer testing that they can use in their classrooms. Community stakeholders and 12 members of our school staff will prepare our hallways and classrooms to make sure they are ready for scholars, families, and teachers. Volunteers will pick up families with transportation difficulties to make sure 60+ families have access to register and have their children prepared to start the school year. We need support to help us feed the families, staff, and volunteers, to pay for the gas of our volunteer chauffeurs, and to advertise and connect with families ahead of time. Thank you so much for considering supporting our school and helping to put the children of Memphis on the path to college! 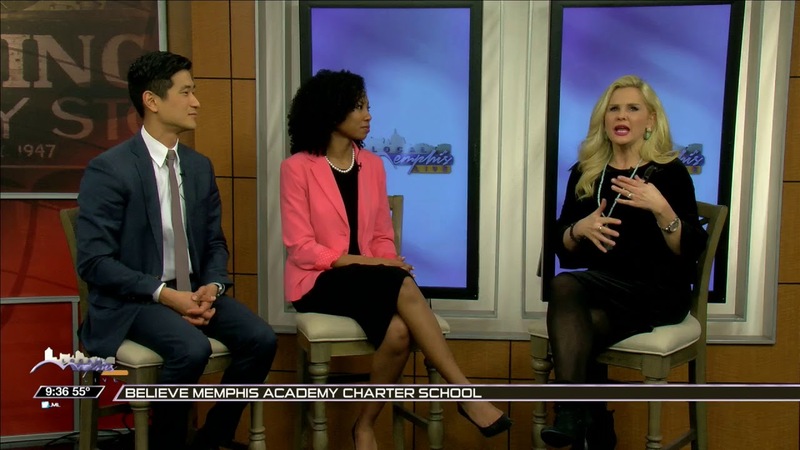 In Memphis, we do not have time to waste when it comes to education. During the 2015-16 school year in Algebra and Geometry, more than 90% of the students in Shelby County did not pass the end of course assessment. Greater than 80% of our students failed their end of course assessment in English. Our average ACT score for Shelby County Schools is 17.5. This is not acceptable for our children and our future as a city. Community and Family Engagement - We will engage families and community stakeholders creating a warm and welcoming environment in our school building. Families will get calls from staff, corp members, and the community and get to engage in team building work that will set themselves and their scholars up for success. Teacher Training – Teaching is incredibly hard and cognitively demanding work. It is a craft that takes many years and dedicated, purposeful practice to master. This event will allow our team to be ready for the amazing children that walk in our door on Day 1! Targeted Instruction – All scholars deserve instruction on that addresses their strength and needs to push them to be the best that they can be, and we can’t wait until a quarter of the way through the school year to figure this out. Assessing our scholars in the summer will allow us to give each student the best possible instruction on the first day of school. So excited for Believe Memphis Academy!! Kim-An & Kacy Coble-Hernandez in honor of the late Julius Turman, a beautiful spirit who left every place better than he found it.